"The issues that caused the Civil War had been brewing since the United States was formed. The most important causes Southerners listed for the war were unfair taxation, states' rights, and the slavery issue. Here are some primary sources that show how heated these issues had become by the late 1850s. "The history and economy of the North were very different from those of the South. Factories developed in the North, while large cotton plantations developed in the South. The Southern plantation owners relied on slave labor for economic success. Their crops were sold to cotton mills in England, and the ships returned with cheap manufactured goods produced in Europe. By the early 1800s, Northern factories were producing many of those same goods, and Northern politicians were able to pass heavy taxes on imported goods from Europe so that Southerners would have to buy goods from the North. These taxes angered Southerners. Laws unfavorable to the South were passed. "Southerners felt that the Federal government was passing laws, such as import taxes, that treated them unfairly. They believed that individual states had the right to 'nullify', or overturn, any law the Federal government passed. They also believed that individual states had the right to leave the United States and form their own independent country. Most people in the North believed that the concepts of "nullification" and 'states' rights' would make the United States a weaker country and were against these ideas. "Meanwhile, in the North, many religious groups worked hard to end slavery in the United States. They were morally opposed to the idea that one person could 'own' another. 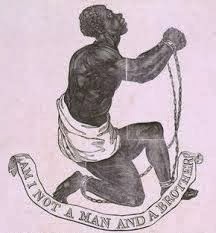 Abolitionists in the North wrote books, published newspapers spreading their ideas about slavery, and often assisted slaves to freedom when they ran away from their masters. Southerners believed that abolitionists were attacking their way of life and that the Federal government was not doing enough to protect their 'property' from running away. Southerners were also concerned that new states were entering the Union that did not permit citizens to own slaves, because the more 'free' states that entered the Union, the weaker Southerners' influence in the Federal government would become. Slaves are an important part of Kentucky agriculture. 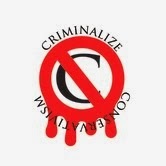 People should not be bought and sold like property. The slave trade is very important to Kentucky's economy. The Union should be preserved at all costs. The Southern part of the United States should become an independent country. "Concrete concerns about saving and expanding slavery, and not the nebulous theology of states’ rights, ignited the U.S. Civil War. Why does that message keep getting lost? "The Sons of Confederate Veterans are holding a gala this week in Charleston, S.C., a hundred-dollar-a-ticket affair celebrating the state’s secession from the Union 150 years ago. It’s the first of countless commemorations planned for the coming four years — lectures, conferences, parades, re-enactments, museum exhibitions and government proclamations — to mark the sesquicentennial of the Civil War. "The Charleston 'Secession Ball' — advertised as 'an event of a lifetime' — includes a theatrical re-enactment of the signing of the Ordinance of Secession (the original version of which will be on display), as well as dinner and a dance. "'Of course, when South Carolina did secede, there was enormous celebration, dancing in the streets and so on,' said James McPherson, a Princeton Civil War historian and author of the Pulitzer Prize-winning history Battle Cry of Freedom. "But something about the Charleston event of 2010 strikes an odd tone. "Scholars today are mostly of one mind about why South Carolina seceded and what caused the war. 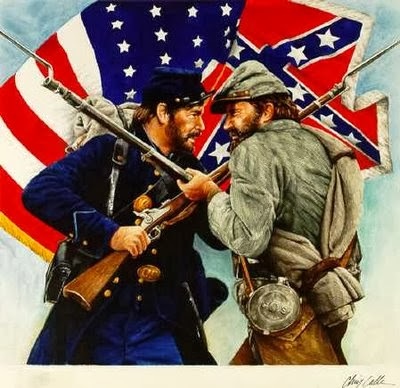 But Americans, even a century and a half later, still deeply disagree with each other andhistorians, many of them embracing a Civil War story about self-government and “states’ rights” that reveals more about America in 2010 than what actually occurred in the 1860s. "This disconnect between scholarship and public memory has traced a curious evolution over past 150 years, and now on the eve of the sesquicentennial, it threatens to complicate any honest national conversation about the significance of the war’s anniversary. "How can any commemoration these next four years make no mention of that? "'One hundred and fifty years ago Christmas Eve day, everyone knew why South Carolina was seceding because they said so — it’s a wonderful document,' said James Loewen, a sociologist and co-editor of The Confederate and Neo-Confederate Reader. "Four days after South Carolina seceded on Dec. 20, 1860, the state adopted a second document titled 'Declaration of the Immediate Causes which Induce and Justify the Secession of South Carolina from the Federal Union.' Loewen considers the record, central to his new collection, one of the five most important documents in the history of the country, launching as it did a seminal chapter in America’s ongoing struggle to define itself. "In it, South Carolina laments the election of a new president 'whose opinions and purposes are hostile to slavery.' State leaders indeed sound incensed about 'states’ rights,' but not in the way most people think today. "Specifically, South Carolina spells out grievances with 13 Northern states that had passed local laws that 'render useless' the federal Fugitive Slave Act. South Carolina is miffed at New York for denying slaveholders the right to transport slaves through its territory, and at Ohio and Iowa for refusing to surrender escaped slaves charged with crimes in Virginia. It’s angry at several Northern states for giving freed blacks citizenship and even the right to vote (a decision that was then the responsibility of the states, not the federal government). These northern laws were essentially an attempt to hold federal slave policy at bay — using states’ rights. "Today, the "states’ rights" shorthand for the war is both a staple of U.S. history textbooks and a slogan of groups that sidestep mention of exactly which states’ rights were in debate in 1860. "The North did not, however, go to war to dismantle slavery, as the South did to preserve it. The North fought to preserve the Union, a motivation that, over the course of the war, became inextricably tied to the question of what that Union would look like after the fighting was over — would it be free or not? "This is the history on which McPherson’s 90 percent to 95 percent of serious historians agree. "Americans in the 1860s knew these facts. When, Loewen asks, did they start to forget them? "A concerted effort to rehabilitate the Confederate cause began in the 1880s, says Melvin Patrick Ely, a scholar of free and enslaved African-Americans at the College of William & Mary, and the great-grandson of a Confederate veteran himself. "Why they sincerely held that view, he adds, is a separate question. "Most Americans by the turn of the 20th century accepted that slavery should no longer exist — 'Nobody wants to put up a monument to somebody in 1900 and inscribe on the pedestal, "Died Defending Slavery,"' Ely said. But Americans in the North and South had largely come to think of Reconstruction, and the resulting 14th and 15th amendments, as a failure. (That birthright citizenship guaranteed in the 14th amendment is sufferingrenewed political attacks to this day is one consequence, historians argue, of our failure to accurately read history — and to hold politicians to its lessons.) By the early 20th century, many white Americans had concluded blacks just weren’t ready for citizenship yet after all. "In the post-Reconstruction era of national 'reunion,' Yale historian David Blight says the country came back together around the idea of the common valor of soldiers on both sides of the war, around a common economy and around the imperial adventures of America as it began to grow into a world power. "Some historians call this era the most racist in American history — even more so than the age of slavery. This racism, and the new narrative of an unfortunate war between brothers, took hold in popular fiction, in presidential speeches, in monument building. The story of the emancipation of 4 million slaves — and of the 200,000 blacks who fought for the Union army — 'all but vanished from the national story by 1900, 1910,' Blight says. For several decades to come, most children would not even read much about it in their textbooks. 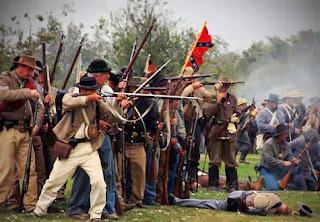 "Northerners were complicit in this retelling of history, as were historians of the era, said Marquette professor James Marten, president of the Society of Civil War Historians. "In the years since the Civil Rights era, historians have coalesced around the account outlined by McPherson and supported in records like those Loewen has collected. 'It’s cut-and-dry,' Loewen says. Two generations of historians have made the case 'thoroughly and conclusively and persuasively,' Blight says. "Grade-school textbooks have not entirely caught up (a crusade of Loewen, who also wrote the best-seller Lies My Teacher Told Me). This fall, Carol Sheriff, a history colleague of Ely’s at William & Mary, discovered in her daughter’s fourth-grade Virginia textbook a passage about the 'thousands' of blacks who fought for the Confederacy. Georgia Gov. Sonny Perdue also celebrated this relatively new narrative about the war in a 2008 state proclamation (using a historic inaccuracy arguably worse than not mentioning slaves at all in state Civil War proclamations). "The claim, sourced by the Virginia textbook’s author from a Sons of Confederate Veterans website, is roundly refuted by historians. The Confederate army did not permit blacks to serve as soldiers until late March of 1865, weeks before Richmond fell. But the idea that Southern blacks had fought throughout the conflict would undercut the very premise that Southern whites went to war to continue enslaving them. "The last time America had a major commemoration of the Civil War — at its centennial — current events heavily colored how the country looked to the past. 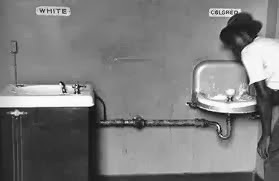 The 100th anniversary in the 1960s, held in seeming oblivion to the latest upheaval in American race relations, even included segregated events. "'The Civil Rights movement and the Civil War centennial were like two different planets orbiting different suns, and they never even found the same space together,' Blight said. "The centennial — aside from its racist undertones, the irony of which was lost on its organizers — was everything historians hope this commemoration will not be. It was a celebration of the antiseptic everyone-was-right-after-all narrative. Loewen scoffs at the painstakingly inoffensive commemorate stamp collection that was issued at the time: one for Grant, one for Lee; one for Sherman, one for Jackson. Officials marked both the 'Civil War' and the 'War Between the States' (an anachronism that was never used in the 1860s). "And then the re-enactments began. "If all we do over these next four years is re-enact battles but never ask why they occurred, Blight adds, what’s the point? "Today, the sesquicentennial will coincide with another potentially fitting moment in modern history to mull why all these battles worth re-enacting occurred. The Civil War, for all its broken promises, did, in a sense, lay the groundwork for the election of the country’s first black president. 'There’s a poetic beauty to his being in the White House now,' Ely said. "But this anniversary also falls during another chapter of intense anti-federal government emotion. And in the age of the Tea Party, the Civil War sounds very much like an allegory for today’s fights over states’ rights versus federal intervention, individual choice versus 'the public option.' To interpret the Civil War through that lens would be, yet again, to dodge its true causes. "Obama looks as if he will be torn between these two impulses: between the significance of his own presidency at this moment and the polarization it has caused among Americans eager to turn any utterance into a new front in the culture wars. "Eventually, Blight points out, Obama will have to. 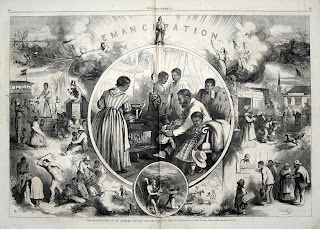 Whether he is re-elected or not, he’ll be the president on one of the single most significant dates in these next four years: on Jan. 1, 2013, when the country’s observes the 150th anniversary of the Emancipation Proclamation. "'Nothing transformed America quite like that,' Blight said. 'He knows that, and he knows it well. He’s a good student of history.'" The advent and growth of the "Tea Party" made this article important. 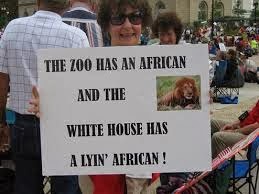 While denying that they are made up of Southern racists and teabillies, the signs at Tea Party rallies make the point moot. 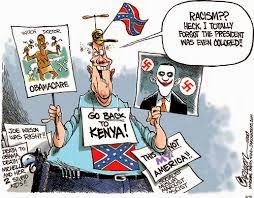 And their new cries for yet another secession-insurrection calls for a new perspective on Conservatism - they're anti-American criminals crowding under their banners of treasonous and seditious desires. Next: More On The Civil War.